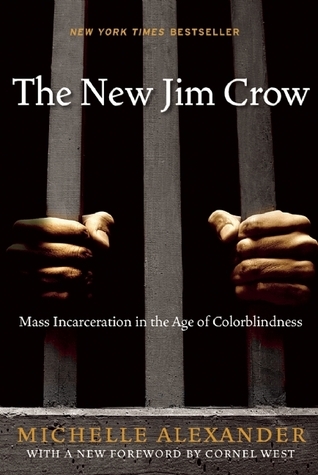 The New Jim Crow is the first book by law professor and civil rights advocate Michelle Alexander, in which she makes a case for prioritizing mass incarceration as a racial justice or civil rights issue rather than only discussing it in a criminal justice context. She further argues that this issue is more urgent than affirmative action or improved civil rights enforcement. Alexander’s rhetorical device is to make a metaphorical comparison between the impacts Jim Crow once had on the lives of black people, and the disproportionate effects of mass incarceration on the African American population today. In discussing mass incarceration, Alexander is referring “not only to the criminal justice system but also to the larger web of law, rules, policies, and customs that control those labeled criminals both in and out of prison.” What follows is a devastating portrait of the American criminal justice system and its social consequences. Perhaps the most important thing this book does is break down the differences between the racial hostility and open bigotry that most Americans recognize as racism, and the quieter, more insidious forms of racial bias that are now that primary form of discrimination faced by American minorities. Alexander demonstrates how Supreme Court decisions that eviscerate the 4th Amendment and narrowly interpret the 14th Amendment have allowed a racially unequal criminal justice system to flourish since the War on Drugs began in the 1980s. Because the court system will only punish discriminatory sentencing if it can be traced to overt bias in a particular case, discriminatory sentencing patterns, although clearly demonstrable, cannot be challenged. In fact, Alexander takes the reader through the entire criminal justice process, from stop and frisk, to arrest, to prosecution, and sentencing, demonstrating at each step how the courts have failed to protect against unconscious racial bias. Her assertions are supported by references to significant legal precedents, and illustrated by examples of real people who have been affected by this system. In addition to demonstrating how the criminal justice system has been immunized to claims of racial discrimination in the courts, Alexander also illustrates a criminal justice system that is corrupted by cash. This money comes not in the form of individual bribes, but in federal funding that can only be used by local enforcement offices if they commit to the War on Drugs, and in the form of forfeiture laws that, even after scandal and revision, enable police departments to enrich themselves at the expense of the communities they are supposed to protect. Prisons can be run on a for-profit basis, as if they were supposed to be a business rather than a form of rehabilitation. The prisoners inside can be leased out as cheap labour to the highest bidder, the only legal form of slavery in the United States today. The prisoner may owe money to the prison upon release, be required to pay a variety of fees for court supervision, or even to have their voting rights reinstated, perpetuating disenfranchisement. This system spends billions of dollars on enforcement, prosecution, and incarceration but almost nothing to prevent recidivism, denying newly released felons access to food stamps, subsidized housing, and student loans. The primary parallel between Jim Crow and mass incarceration is that people who are labeled felons are legally subjected to many of the forms of discrimination that Jim Crow once perpetuated. And thanks to uneven enforcement and prosecution, these people are disproportionately African American. However, Alexander is careful to acknowledge and point out important differences between Jim Crow and mass incarceration. Although she sees significant similarities, she is by no means saying that the two are the same, or should be approached in the same way. Rather, her bold assertion seems designed to illustrate how a system that is intended to be colorblind can, through the conscious or unconscious biased application of discretion, have an outcome that is similar to that of an overtly racist system of control like Jim Crow. The difference is that mass incarceration has a plausible deniability that enables it to skirt modern non-discrimination laws. For many, suggesting a parallel between Jim Crow and mass incarceration is a provocative assertion. However, perhaps the most controversial suggestion comes in Alexander’s final chapter, “The Fire This Time,” in which she suggests that affirmative action is masking the consequences of mass incarceration, and making African Americans complicit in a new system of racial oppression. This is a minor aside in her final chapter that is not deeply explored, but I expect it will ignite much debate. However, it is a significant piece of the puzzle when faced with the question, how could we have missed this for so long? Preserving affirmative action has long been a major battle for civil rights advocates, but it is one that Alexander believes may have unforeseen consequences. The New Jim Crow is a provocative and well-documented work of consciousness-raising that will cause readers to interrogate their assumptions about race, bias, poverty, and law enforcement. What Alexander is asserting here is not a conspiracy, but a fundamental failure to attend to evidence of inequality in the face of our desire to believe we have achieved a post-racial society. Though it has a narrow scope primarily confined to African American men and the War on Drugs, it opens the door to further scholarship and discussion. 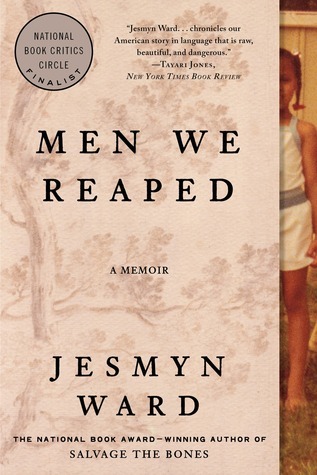 You might also like Men We Reaped by Jesmyn Ward.